Hello Every One Today I am going to do a review of Silicone Free Hair Oil which has seven excellent ingredients . 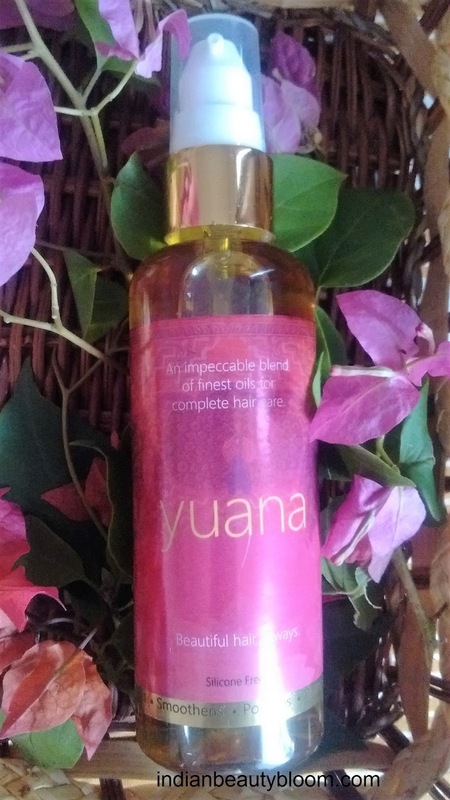 I am talking of Yuana Hair Oil . Yuana Hair oil is brain child of two talented ladies Anita and Sushma . 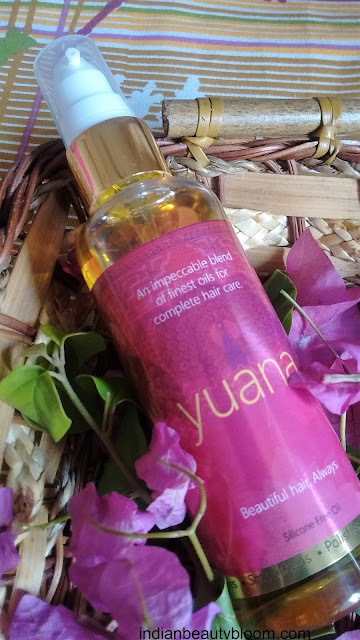 It is a blend of seven essential oils which nourishes the hair and controls hair fall . It is suitable for all hair type , it relaxes mind and senses and also heals chemically treated hair . well as good , It has a nozzle with a cap , oil can be easily squeezed out from the nozzle and then one can put the cap . Apply generous quantity of oil on scalp and massage it well , leave it for at least two – three hours and wash your hair with a mild shampoo , for best results leave it over night and then shampoo in the morning , do this thrice a week . Add 3-4 pumps of hair oil to your hair color to get longer lasting color . 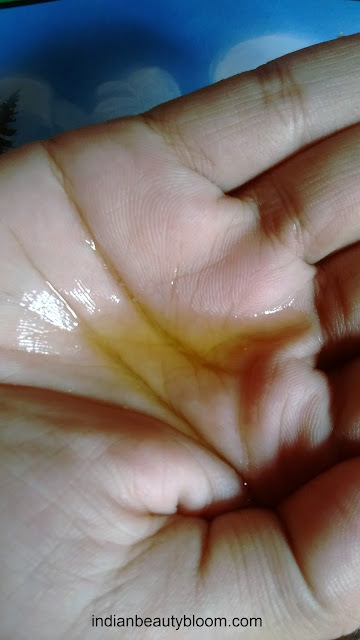 Massage this oil on your scalp and leave it for an hour then wash your hairs . This oil will relax your mind . 1.Contains seven essential oil which are very useful for solving any sort of hair problems . 2.It is Silicone Free . 3.Product packaging is too good . It has a non messy design to ensure no wastage . 4.Shelf life is good . 5.Contains Vitamin E , minerals , Proteins , Omega 6 and Omega 9 which supports keratin in making hair stronger and frizz free. 6.It nourishes the hair and makes it frizz free . 7.It controls hair fall and promotes hair growth . 8.It relaxes mind and helps to get good sleep . 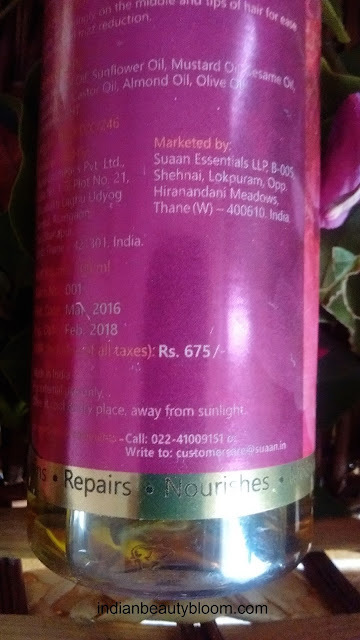 2.Price may seems bit higher as compared with other hair oils but considering the fact that it has goodness of seven essential oils its Okay . I am using this oil past 15 days and its good . It nourishes the hair and reduces frizz . I have applied it some 2-3 hours before shampoo and i found some change in my hairs after using it . My hair fall has reduced to some extent and my hairs look better than before . Since i have not used this for a long period of time i can not say about other claims , that i can update after some more time . 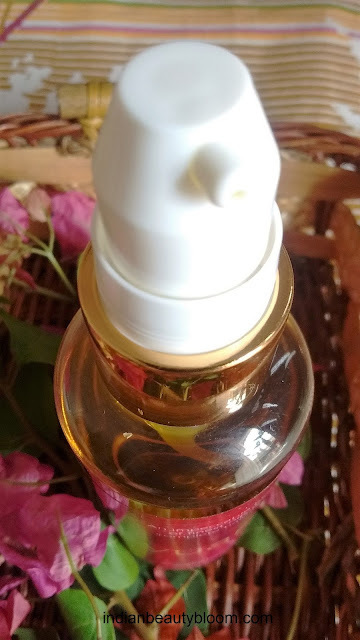 The oil is golden in color with a strong smell as its a blend of seven oils , its light weight in texture .